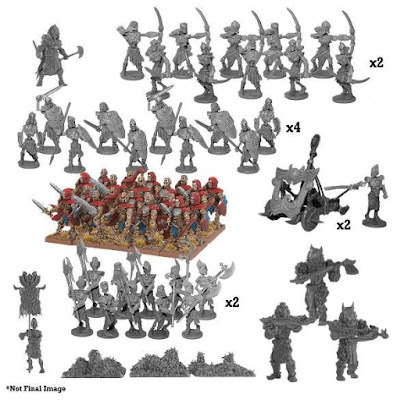 While the final Star Saga kickstarter is still delayed, more of the models are becoming available for Deadzone. 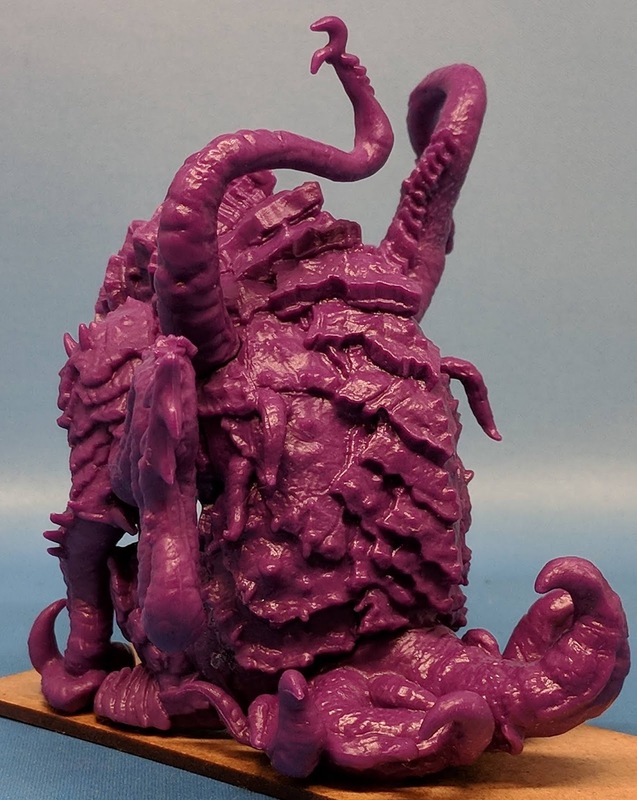 The biggest of these is the Goliath, which in the kickstarter was listed as the Monstrosity. 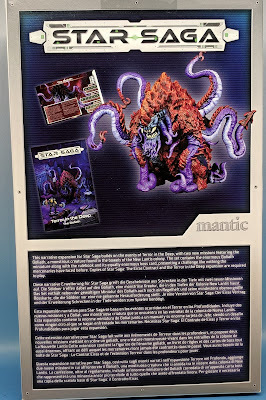 This comes in the Nameless Goliath expansion, which is an expansion for the Terror in the Deep expansion. 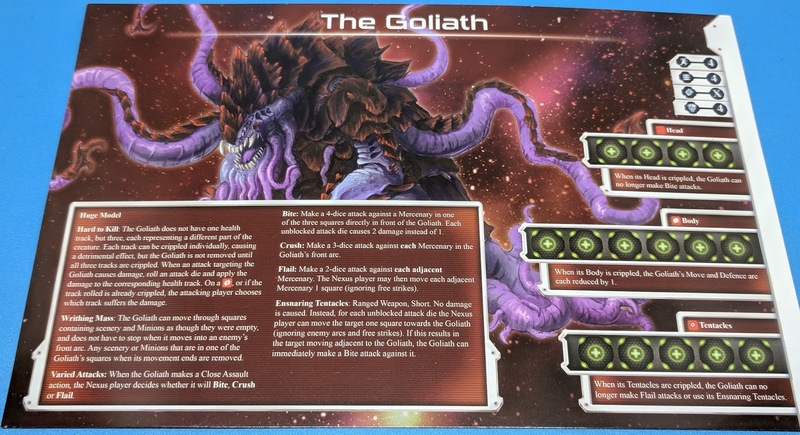 The Goliath expansion comes with a boss card and a booklet with two new scenarios to add to the Terror in the Deep campaign. 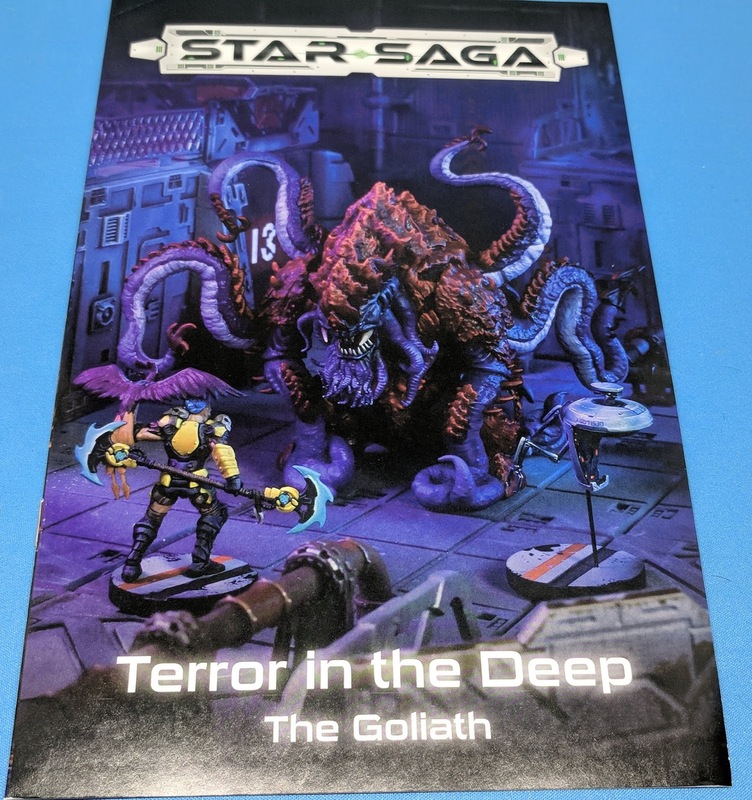 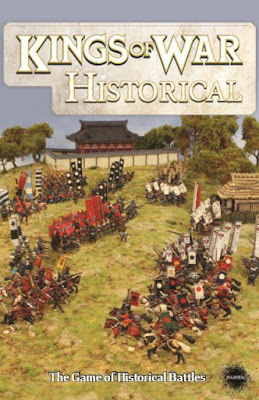 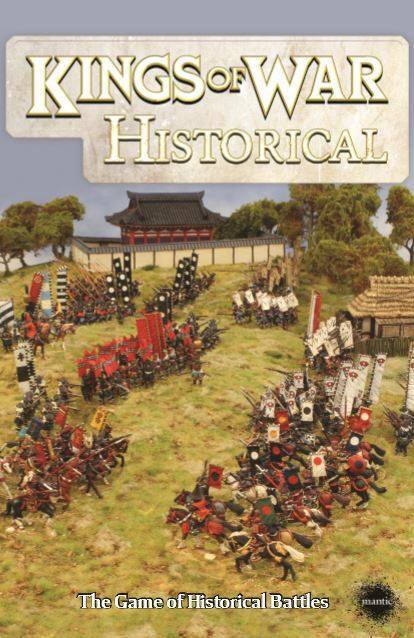 One thing to note - IF you want to use this in your Star Saga games, do not wait until you have finished Terror in the Deep - as the two new scenarios fit in the middle of that campaign - TitD has six scenarios, and these two are after the 4th and 5th. 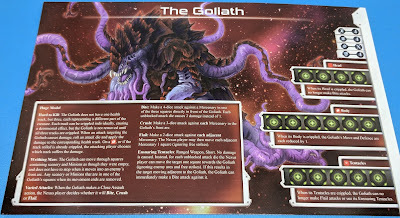 Of course you can also use the Goliath in Deadzone. The model does not come on a base. However since I plan to use it as a Kraken in my new Trident Realms of R'yleh army, it needed to go on a 50x100 mm (chariot size) base. I didn't think to take the pictures before I glued him to a base :-). 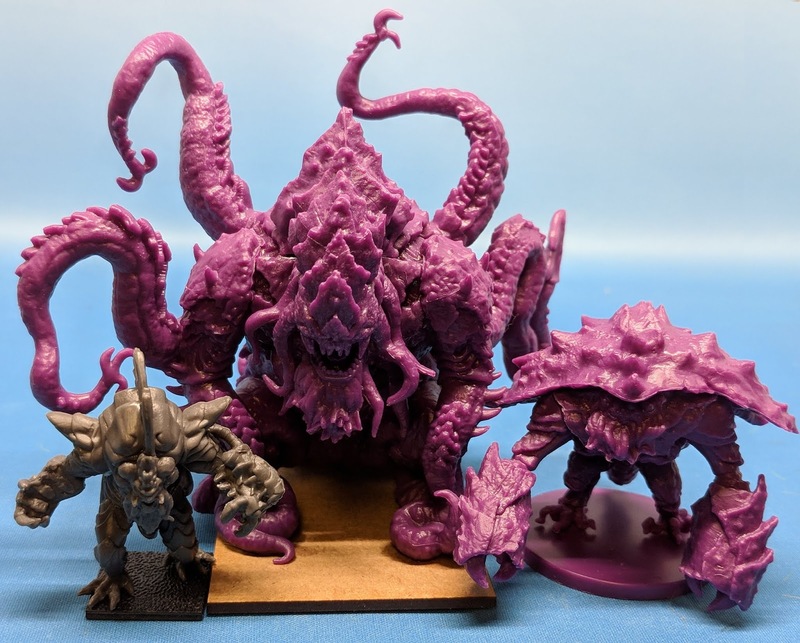 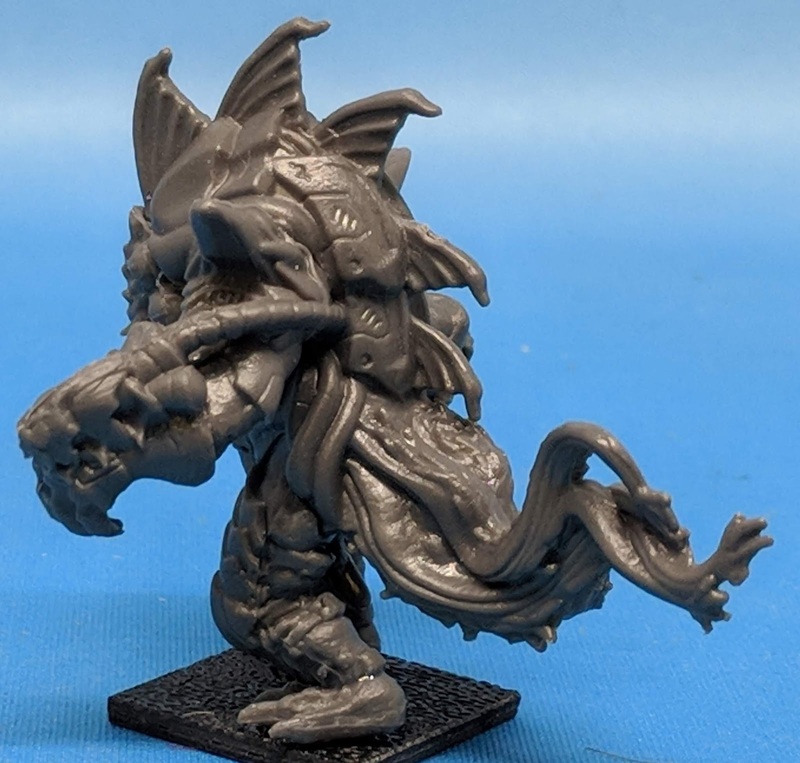 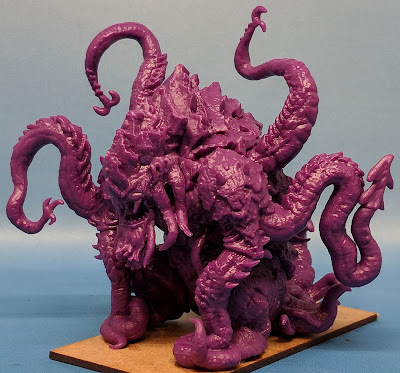 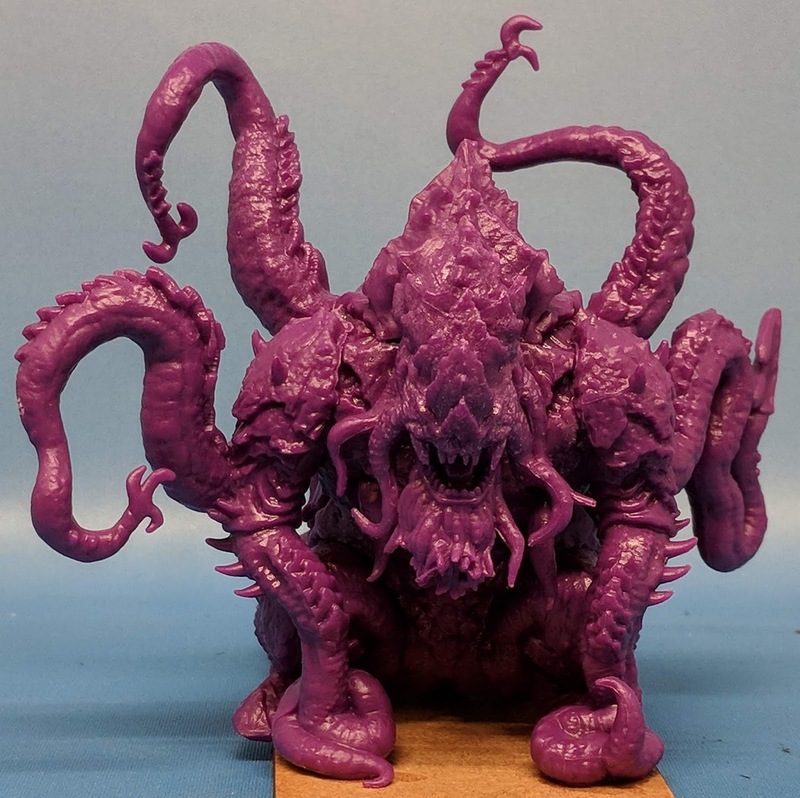 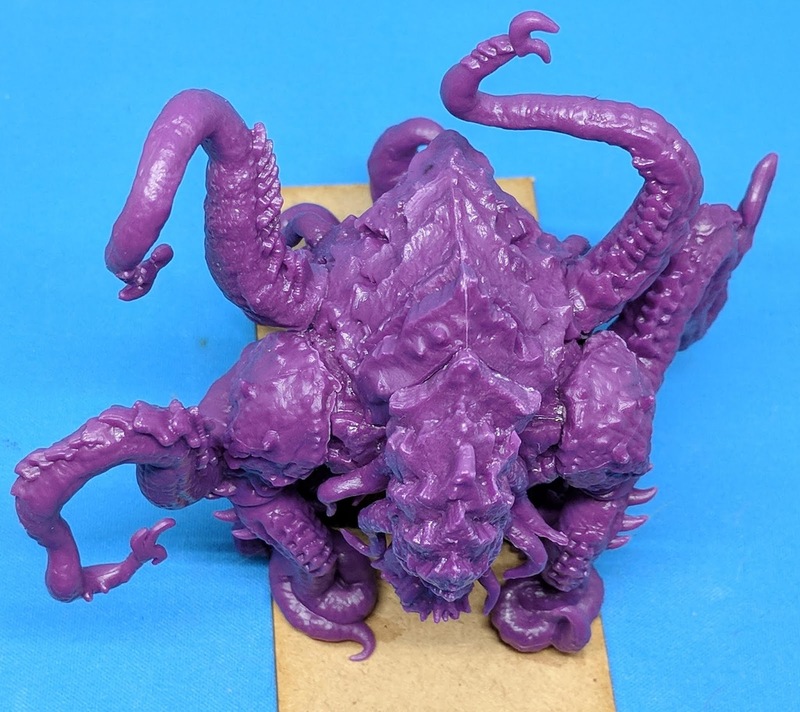 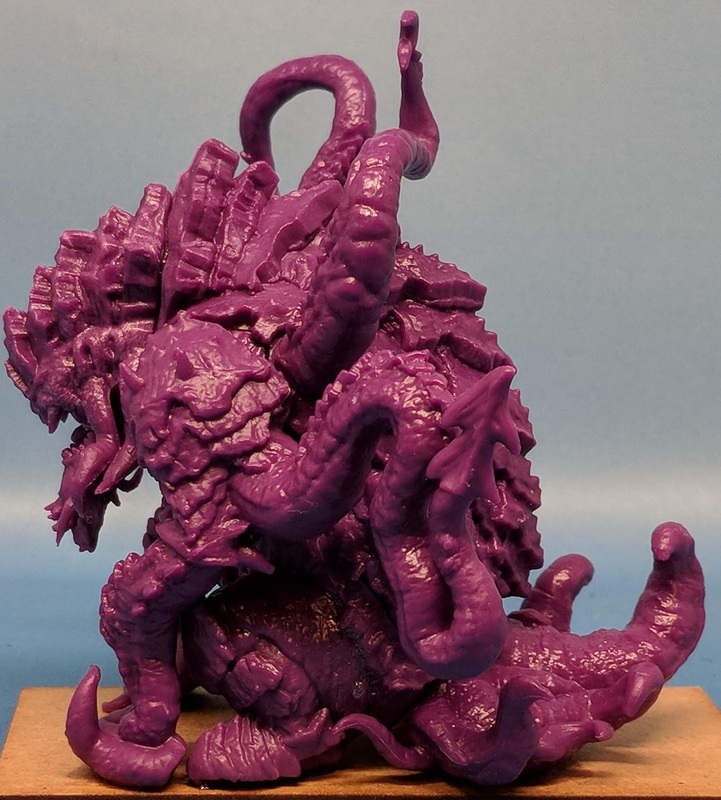 He would actually fit better on a 75x75 base - but the Kraken is defined on a 50x100, and while 75x75 is technically bigger (being 5625 square mm, as opposed to 5000 square mm), it doesn't feel right shortening one side. 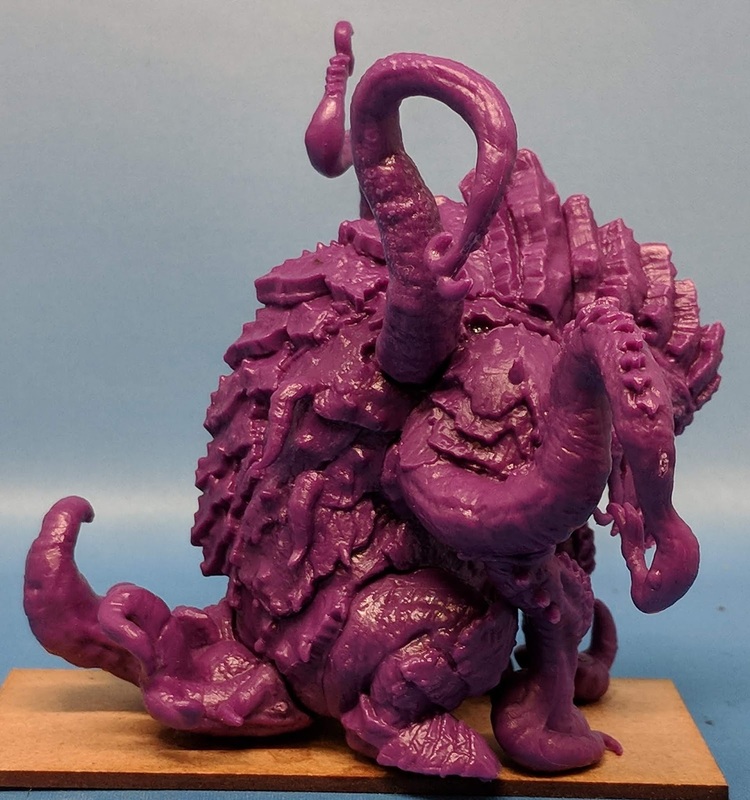 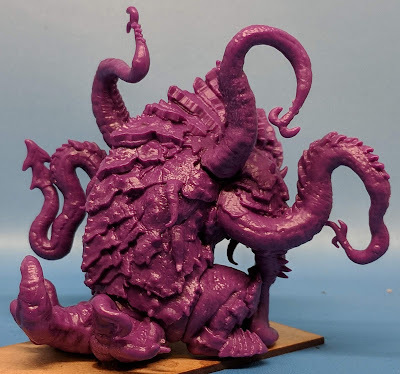 I may use some hot water to re-position some of the tentacles to make him fit better on the flanks (and of course keep a blank base available for when it really matters in KoW). 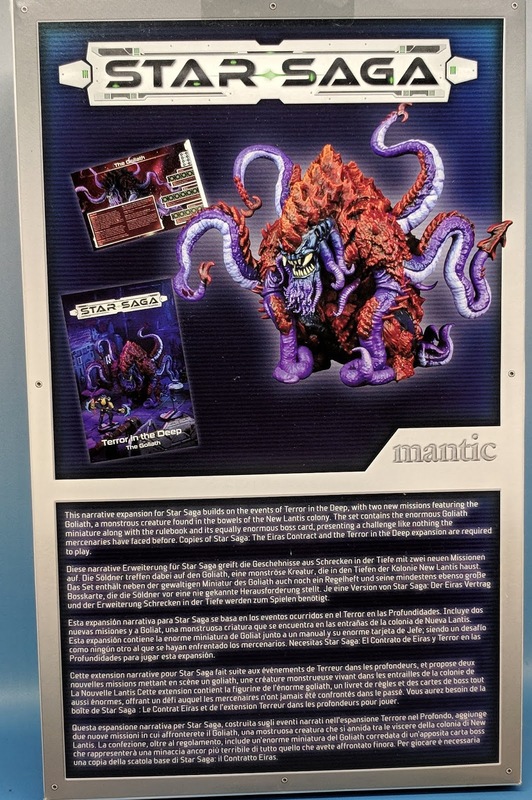 Of course since this is a Star Saga expansion, it has a boss card as well. 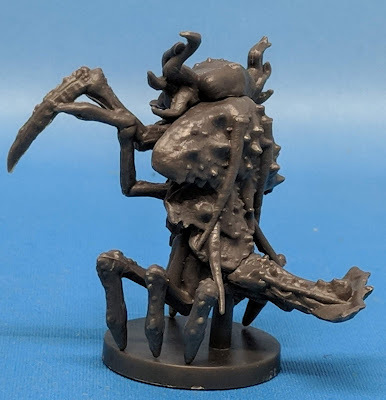 This guy is so big (taking up 9 squares in the game) that he has some special rules just for his size (and effectively more wounds as well). Of course there is a rule booklet with the two new scenarios for the big guy. I can already hear both my readers asking just how big he really is (or maybe it is just some other voices in my head :-) ). 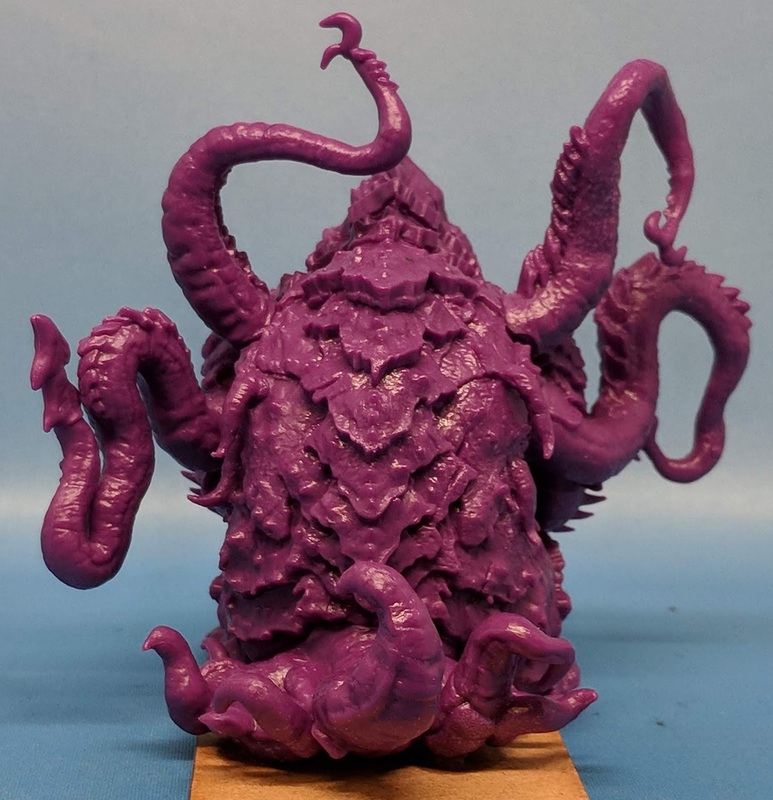 Sure seeing it on a base helps, but seeing it with other models is better. 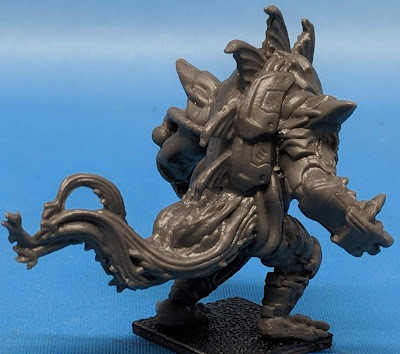 Even more how does it compare with other big models? 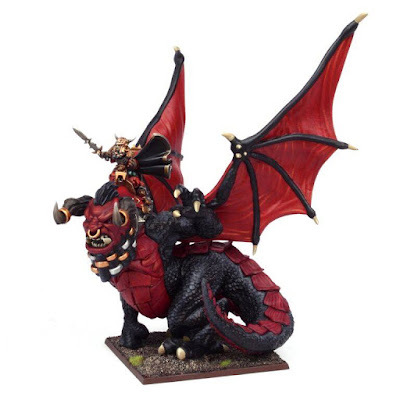 I just happened to have some sitting around ( the orc krudger on winged slasher waiting patiently for some paint loving, and a Winged Archfiend of the Abyss from my display cabinet). 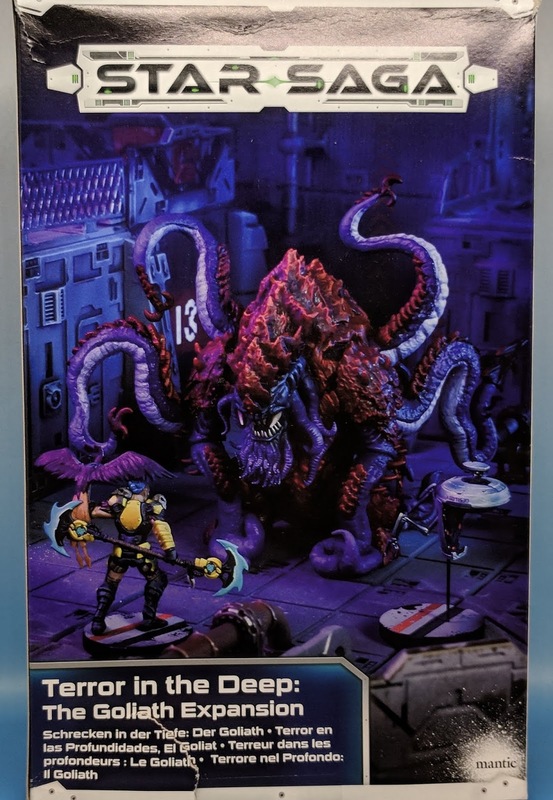 The slasher comes with a 50x100 base (which just happens to be the one that I glued the Goliath to), but fits much better on a 75x75 base (another coincidence). 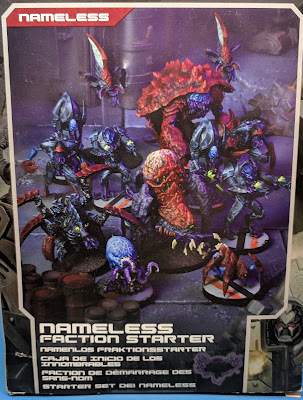 In addition to the big guy, some of the leaders for the Nameless faction in Deadzone are also available (there are also bosses in Star Saga). First is the Blight. 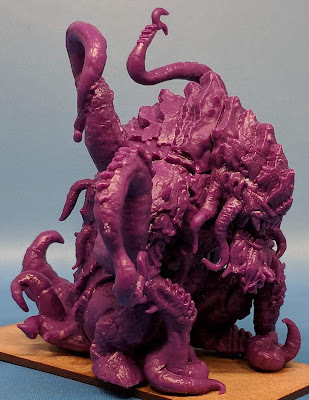 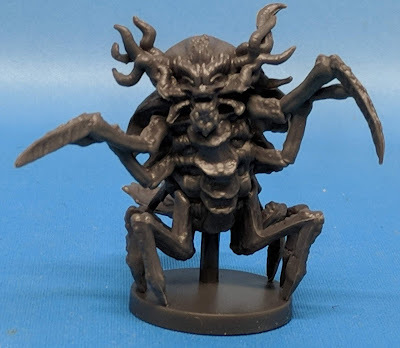 When I was figuring out the list for my Cthulhu themed Trident Realms army, I wanted to put in Eckter (from Dungeon Saga) as I had played against the character, and he is just hard as a rock (and you know I like rocks if you have seen my Abyssal Dwarf army). 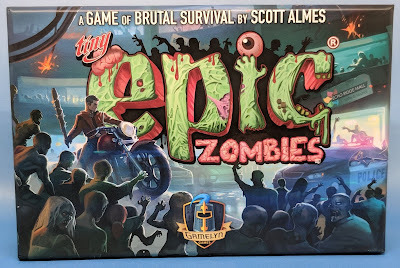 Of course I don't have an Eckter model (because I gave it away as a prize at Origins), but when I thought about getting one, I realized that it didn't really fit my theme. Looking at other models, the Blight really seemed to fit a De 6+ model (with a ranged attack) and Crushing Strength(2). 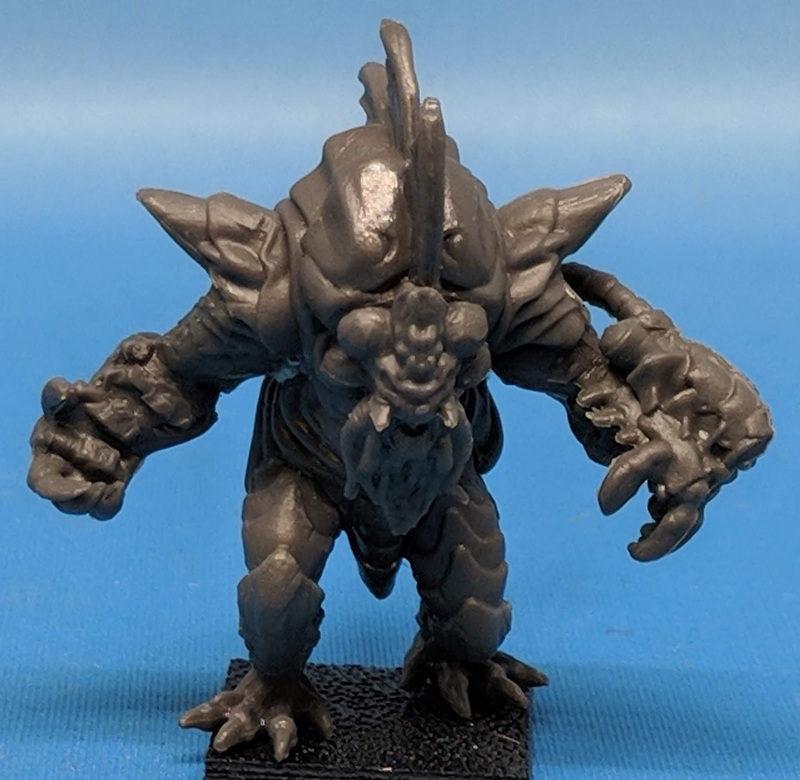 I actually didn't even have to pop him off his base, as it had already come lose in the baggie. 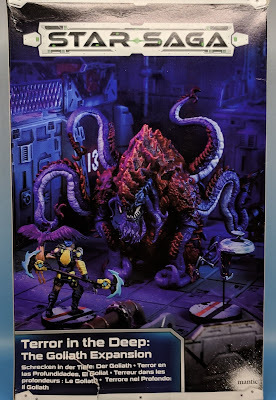 The other new Deadzone model is The Terror. After seeing the model, it seems to be a specialist version of a Caratid. 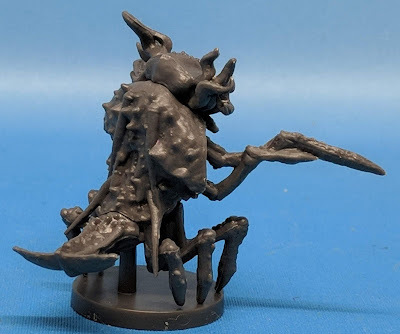 Though it actually makes me think more of a giant cockroach than a shrimp.